Marijuana and chocolate—two of the most popular things in the world—can come together for a symphony of bliss. 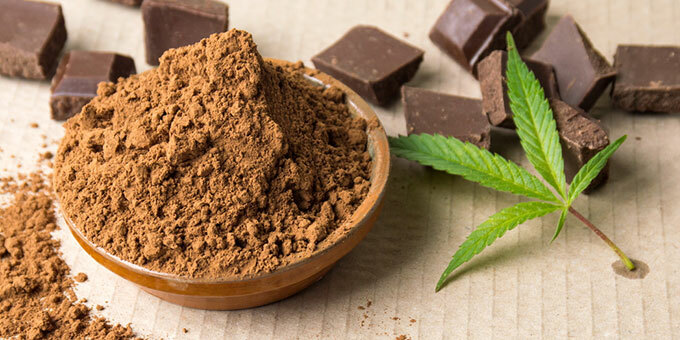 Not only is chocolate incredibly tasty in most forms, which helps to cover up any lingering strong weed flavors, but cocoa has actually been proven to enhance your high. The sheer bliss of the combination is definitely worth exploring in your own kitchen. Making your own canna oil chocolate bars or cannabutter infused chocolate is incredibly easy when you start with a bag of Chipits or some other premade chocolate. All you have to do is melt them together! Even when it comes to the more complex recipes, like how to infuse chocolate cannabutter chocolate truffles, the steps are relatively simple. 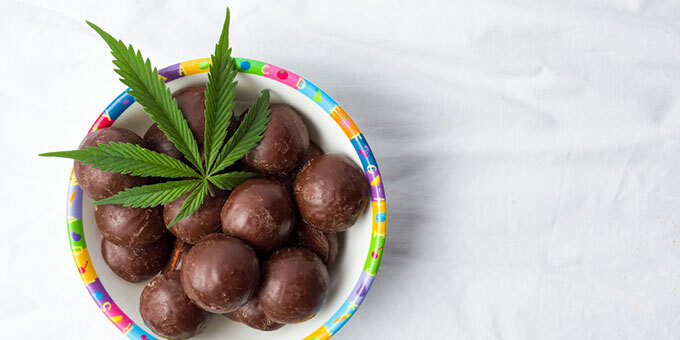 So start prepping your kitchen—and your taste buds—as we dig into why cannabis chocolates are so amazing and how to make a few recipe variants at home. Why Are Cannabis Chocolate Products So Popular? Chocolate is by far the most popular type of sweet or candy in the world. Globally, people consume more than three million tons’ worth of cocoa beans annually. The bitter bean is especially popular in Europe and North America. What’s even more universally loved, though, is marijuana. A 2010 survey found that marijuana was the most widely consumed controversial drug on the planet. This figure naturally excludes alcohol, caffeine, and nicotine. So why do people love chocolate almost as much as weed? 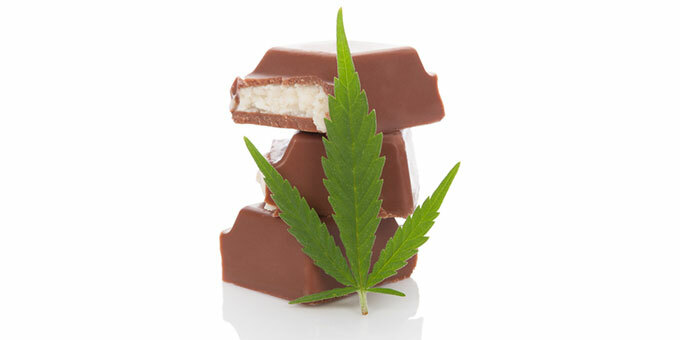 And why are treats like chocolate bars made with canna oil or chocolate infused with cannabutter so popular? The answer is that they’re actually quite similar! Like cannabis, chocolate contains anandamide, a molecule aptly named after the sanskrit word for “bliss.” Chocolate also offers small amounts of tyramine and phenylethylamine, two amphetamine-like substances, in addition to the stimulants theobromine and caffeine. Simply put: eating chocolate gets you amped. As the BBC reports, well-made milk chocolate also has an optimized balance of sugar and fat that reminds us of our mother’s milk. When weed induces some serious munchies, you often want to reach for foods that activate the more primal areas of your brain to indulge. That’s why savory snacks, sweets, and fats are such common munchie staples. Chocolate hits that sweet spot while offering chemicals that can enhance your high. It’s no mystery, then, why some people love to buy, make, and eat these chocolates! If you have cannabis infused oil or cannabutter handy, making your own homemade cannabis chocolate is fairly easy. Coconut oil is by far the best edible infusion choice of any of your options. Because it doesn’t contain dairy or lactaids, it won’t spoil as easily as a butter-based confection. It’s also a saturated fat, meaning it’s solid at room temperature. But don’t worry; that doesn’t make it as unhealthy as Crisco! One thing you have to be very careful about when creating your cannabis chocolate treats is keeping the right consistency. Chocolate actually has a fairly delicate chemical balance called an emulsion. If this balance is broken, the sugar in the chocolate will crystallize and result in an unpleasant consistency. Your chocolate will also melt much faster at room temperature. Preserving the chemical sanctity of chocolate while working with it is known as “tempering.” You can temper chocolate by keeping a handful of unmelted morsels or chunks on hand and adding it to your melted chocolate once it reaches the ideal temperature. For milk chocolate, this ideal temperature is 29 – 30 C, while dark chocolate demands slightly higher temperatures of 31 – 32 C.
In fact, you might want to stick to the darkest chocolate morsels you can find. Milk chocolate is simply dark chocolate with added condensed milk or milk fat and cocoa butter. Adding cannabutter or infused canna oil to this milk chocolate mixture often just throws off the ratio further. But adding infused oil or butter to dark chocolate effectively makes it milk chocolate. Once your chocolate and cannabis infused oil or butter is evenly mixed, you can then pour the mixture into chocolate block molds or bar molds and allow it to cool. Wrap them in foil for portability and protection. Since they don’t have flour, cannabis chocolate treats can keep for a lot longer than the typical pot brownie. Freezing them prolongs this expiration date even further without causing too much harm to the flavor. Learning how to infuse chocolate cannabutter chocolate truffles can take your kitchen confections further, thanks to some added benefits. For one, chocolate truffles are often seen as a more luxurious way to enjoy cocoa flavors. You can mix whatever filling you want, add a hefty dose of canna oil or cannabutter, and coat the filling in a chocolate mixture. This preparation also means that your filling does not have to be as precisely mixed. Since the chocolate shell won’t have added oil, the chocolate will be more stable and less prone to melt. Start by mixing canna coconut oil or cannabutter with your intended filling. Feel free to get creative! This delicious canna truffle recipe from Reddit (the top-voted comment) suggests creaming your infused oil or butter with confectioners sugar. Then, you can fold in peanut butter, speculoos, cookie butter, Nutella, or whatever filling you want. Refrigerate for 2 hours until firm, then scoop the filling into balls with a melon baller or small ice cream scoop. Freeze these filling balls for around 30 minutes, and then simply dip them in melted chocolate! You can also get fancier using these recipes for spicy Mexican-influenced truffles, Turkish coffee ones, or Chinese five-spice. Note that this recipe uses canna oil on the outer shell, making them a bit touchier than the simpler Reddit recipe linked to above. Keep in mind that the cannabis strain you choose will affect the outcome of the final product. Even though edibles are known to provide a more deeply relaxing, indica-like experience, the type of weed you put in them can still produce different effects. For example, if you’re looking to treat chronic migraines, you can select a marijuana strain that’s good for migraines. Or, if you want to lend a certain flavor to your chocolates, you can choose weed flavors that compliment your recipe, such as a flowery indica or spicey sativa. The key to getting good at creating your own cannabis chocolate is to try frequently, experiment, and learn from each batch you make. We hope the fruits of your labor turn out delicious! Just remember to keep some healthy munchies snacks nearby.